When a shooting occurred at an Alabama mall on Thanksgiving night, police had assumed they killed the perpetrator. It now appears that the police were mistaken and instead killed a possibly innocent man, leaving the actual shooter at large. 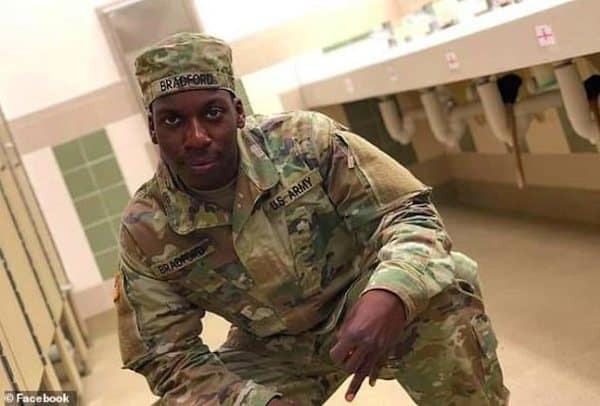 The man who was shot and killed was 21-year-old Emantic Fitzgerald Bradford Jr. and he was Army veteran. Open carry states can make it difficult for the police to enter a live shooter situation and determine the identity of the assailant. The police fired upon Bradford Jr. once they saw he had a handgun and was fleeing from the scene. It appears Bradford Jr. was one of those good guys with a gun and it got him killed. Update: Initial reports suggested that Bradford was active duty in the US Army. New information suggests he was an army veteran. This story and its headline have been updated to reflect the new information.